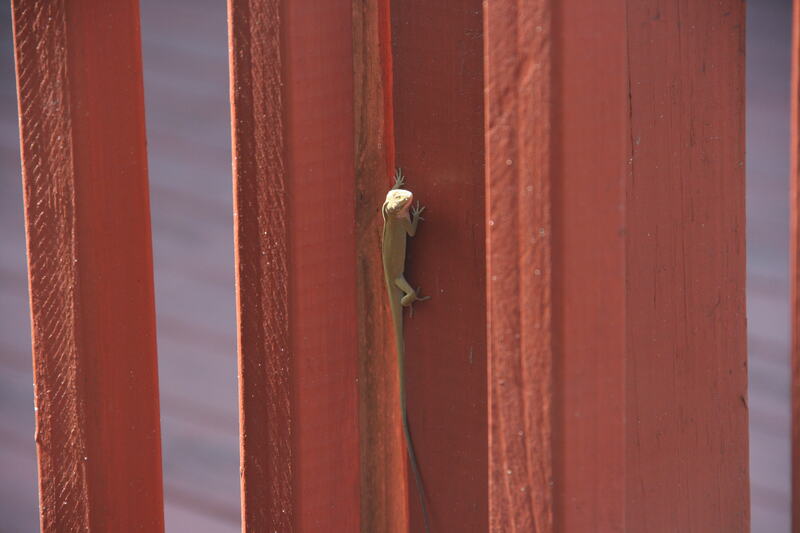 I know that they are not true chameleons, but the green anole is the only native lizard in the southeastern United States that changes color. It is only from bright green to brown or gray, but it’s still really cool. 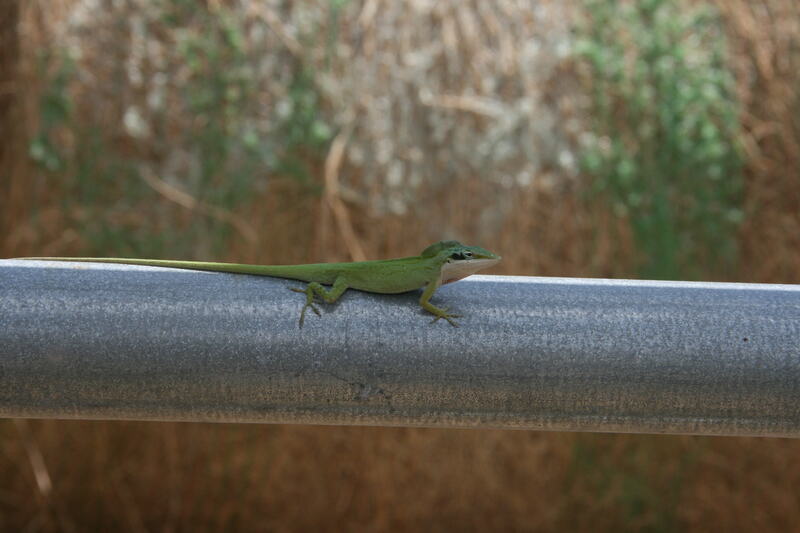 The native green anole is slowly being displaced by its more aggressive cousin from Cuba, but there are still plenty of them around Sun City Stables. 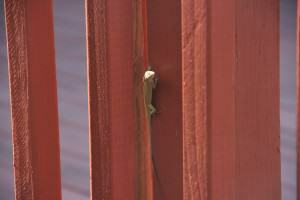 …….and the same little guy, on a fence post, now looking brown. 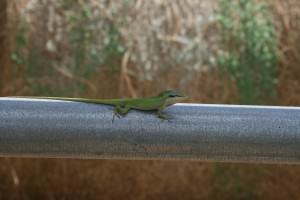 Anoles generally have a territory, so chances are you’ll see one in the same place, day after day…..adorable, right? This entry was posted in Uncategorized and tagged Florida Barn, Florida horseback riding, Florida Trail Riding, horseback riding outfit Bradenton.